Orthodontic treatments like braces or Invisalign are a commitment in your smile’s future. They require an investment of time, care and money, but are well worth the results! Once your treatment is complete, Dr. Kyle Raymond, DDS (our top dentist in Austin, TX!) wants to make sure your smile keeps looking its best. In order to prevent relapse in tooth movement, you’ll need to follow a rather strict orthodontic maintenance protocol called the “retention phase”. After all, the last thing you’ll want is for your teeth to shift back and get braces all over again! During retention, a lingual wire is a commonly used method to help hold your teeth in their new position. This metal wire is bonded to the back of the front teeth, connects and holds them together. But this retainer design is hard to clean and requires the use of special flossers to remove debris. At Westlake Pediatric Dentistry in Austin, TX, we prefer to use Vivera Retainers to preserve your tooth alignment. These are clear thermoplastic appliances that look much like Invisalign aligners, but they’re thicker and more durable. In fact, they’re designed and fabricated by the makers of Invisalign, using the same advanced technology! And, one of the great things about Vivera is that they can also be used by patients who’ve completed traditional braces. What Makes Vivera Retainers the Best Option? Oral hygiene is easier than with a lingual wire. Just take it out to brush and floss normally. No special tools are needed! The appliance itself is easy to clean. Easy to reorder. Invisalign keeps a digital record of your smile. So, when you lose a Vivera retainer, you don’t need to get another impression made. We simply contact Invisalign and they send new retainers right away. It’s even an option to have them shipped directly to your home! What’s the Process for Getting a Vivera Retainer? When your Austin orthodontic treatment is nearly finished, we’ll either take impressions of your teeth or use an intraoral scanner to record 3D images of your mouth. The replica of your new smile gets sent to Invisalign and your custom fitted Vivera retainer is fabricated from there. It’s that easy, and the process helps to provide you with a comfortable and precise fitting appliance. When Should You Wear Your Vivera Retainer? When the time comes to get your braces off, we’ll discuss when you should wear your retainers. Every case is different. Sometimes our dentist in Austin recommends that initially, you wear them during the day then progress to only wearing them at night while you sleep. Further down the road, you may only need to wear them a few nights a week in order to maintain your tooth alignment. 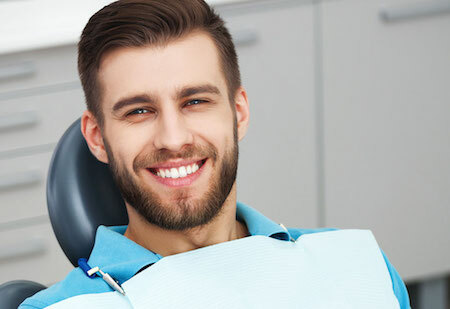 Whatever is decided, make sure to follow the recommended protocol, because your teeth can begin to shift back before you realize it’s happening. Proper wear will avoid gaps, crooked teeth and bite issues. Though the Vivera retainer is capable of moving teeth back that have shifted up to .25mm, this is a minute amount. The longer you go without wearing your retainer, the more your teeth will move. If some changes are too drastic, you may end up needing to get braces in Austin all over again. Your Vivera retainer is an appliance that you wear for several hours. So, just like your natural teeth, it has the potential to collect bacteria and plaque buildup. Keeping it clean is essential for your overall health. When you wake up, remove your retainer and clean it when you brush your teeth. With a regular toothbrush or denture brush, clean your retainer on the inside and outside. Use either an anti-bacterial soap with water or a non-abrasive toothpaste. Gritty toothpaste can be too rough on the retainer, scratching its surface. It can also cause it to become cloudy or dull looking. Rinse your retainer with warm water and place it in a denture cup filled with diluted mouthwash or a denture cleanser. When it’s time to go to bed, you’ll brush and floss your teeth like you normally would. Then rinse your Vivera retainer and insert it into your mouth. Drinking water is okay, but you shouldn’t eat with your retainer in place. If you’ve drunk anything other than water, you’ll want to remove the retainer and at least rinse it and your mouth. Bring your retainer with you to your checkups with our Austin dentist. We can check and make sure everything is fitting as it should. If you have difficulty cleaning your retainer, we have special equipment and solutions we can use. Also, we may be able to recommend when it’s time to switch to a new one! If you or your child has gotten braces in Austin, TX, whether it was in our office, or somewhere else, we’d love to see you! 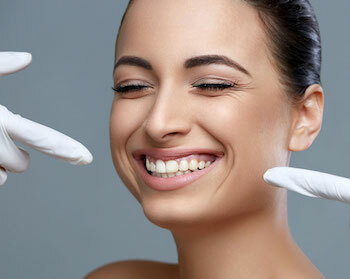 We can help you maintain your new beautiful smile for years to come. When you have Westlake Pediatric Dentistry by your side, you can feel safe knowing you have the best care available to your family. Give us a call today at 512-732-0022!